Description Class of students at Lake Grove School. Fourth Grade class. Photo courtesy of Pamela Berentson. Her husband David is in the class photo. 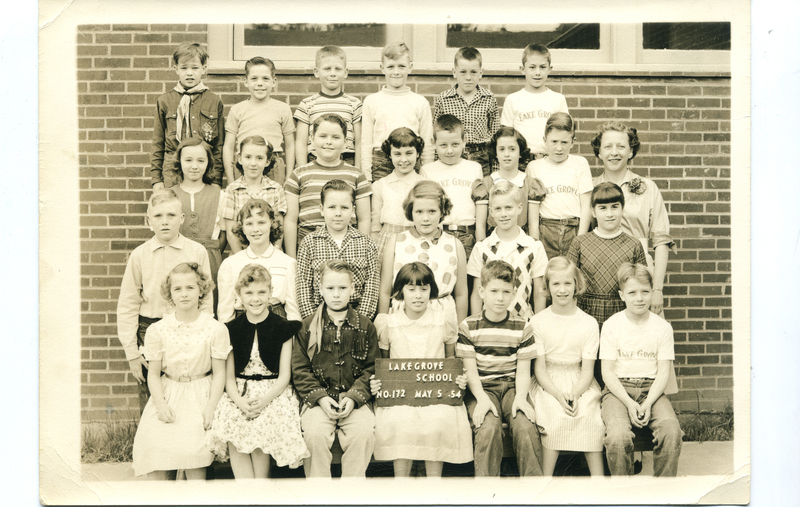 He is 5th from the left in the second row (wearing argyle shirt).